“ROOF 20+” aims to offer the opportunity for the development of innovative products, that will be presenting improved combustion resistance while maintaining their mechanical properties. These innovations are expected to be used at various applications in sectors such as construction, automotive etc. By participating through its subsidiary Thrace Nonwovens & Geosynthetics S.A., Thrace Group aims to contribute to the production of products with improved combustion resistance, that will benefit the end user in terms of safety, but also to increase the company’s share in the global technical fabrics market. 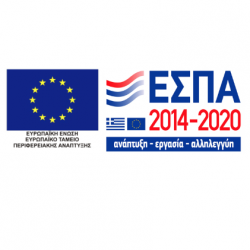 “ROOF 20+” is financed by the Operational Programme Central Macedonia - Western Macedonia - Eastern Macedonia & Thrace 2014-2020 – “Supporting Innovation, research and development investments in the Chemical-Polymer industry” and Thrace Group. For its implementation, Thrace Group cooperates with the University of Ioannina.